We’ve Arrived In Mazatlan: The First Update. 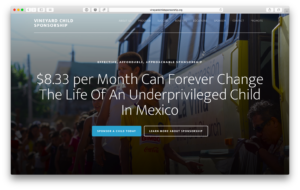 You are here: Home / Help-Project Blog / Living In Mexico / We’ve Arrived In Mazatlan: The First Update. Hola from Mexico. It’s been about a week since we’ve arrived, and there’s been so much to take in. Some good, interesting, trying, gross, unfamiliar, and some down right beautiful. I’ll try my best to convey to you our first week, but I doubt my words will do it justice. Lets see. We arrived on Tuesday November the 11th early afternoon after 2 days of flying, to meet the women who owns the home we are renting here in Mazatlan. We’ve been in contact with her since late spring since we found her rustic little casita on flip key. Instantly we felt connected to this home, and to her. She was extremely helpful in making us feel prepared to stay in her home, which luckily was 3 blocks from the Vineyard Church. Another awesome reason why we chose this property. All was well until hurricane Cabo came through in September. About 4 weeks ago she phoned us to let us know basically we didn’t have a home to rent any longer, and the area was basically being abandoned due to that area being so severely damaged by the storm. Of course we were sad about the news, but we knew God had other plans in mind for our family. She happens to own a few properties in Mazatlan, and graciously has allowed us to rent her home that she’s been on the market for 2 years. It’s a beautiful,mostly renovated 2 bed, 2 bath home, spacious, lots of light, minimal finishes (which is right up our alley), full of character HOME. So here we are, getting settled in the downtown Core of Mazatlan. Our home is on a quiet street, but most of the day it is bustling with some kids, the elderly off to the market, street bikes selling water, people who have less, people who obviously have more, young students walking to school, moms pushing strollers, bikes flying down the hill faster than you and I can blink, and the working class off to start their toil. The first night I think both us felt like we were in a jail cell, locking up each of the gates to our home, and thank goodness the kids were oblivious. By the second night we felt so much better, and the area feels good. While this first week has felt like we’ve been on vacation, in our souls we know that’s not the case. 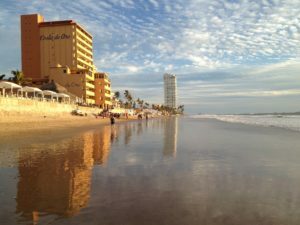 Don’t get me wrong, the city of Mazatlan is a very beautiful city at that, but it’s taking some time to get used to the spanish chatter that goes on night and day, the looks, and the stares from Every direction. On occasion the four of us can be surrounded by plenty people on the street, but at the same time feel completely utterly alone. This shifts from day-to-day. Some days, we feel really normal, other days it feels like more of adjustment. We are being gracious to ourselves as its only been one week. We are slowly getting to know the neighbors, and thank goodness we have one neighbor that lives to the left us that speaks both spanish and English. It’s been an adjustment being the neighbors that need a little more help, as we are used to being the neighbors that help others. It’s interesting how God shapes and grows our spirits of Need for others and our dependence on him. The neighbor kids seem to really like Ben and Emily. Smiles all around, and our “Social Ben” loves to scooter and goof off with them. Emily is slowly adjusting, and getting used to the heat so she’s often quite tired. We want to show Grace to her spirit when she just feels like staying home. It’s a huge change for her, so now parts of the day at home is comfortable for her. Undeniably a bit of a coping mechanism. This puppet I brought has come in handy to bring smiles and giggles. I’m still praying that God will show us what do with all the rainbow looms that were so graciously donated. Thank you to everyone who got behind Emily on this idea. Most of our week has been exploring, finding places to shop, naps or siestas, the start of home schooling, rearranging our home to feel like us, washing clothes by hand, and washing dishes by hand. Woot! For one week in, I think we are doing pretty good. Like I said, some nights I feel like We are still in Langley, and others we know very well where We are and how we just aren’t connected yet. Those are the nights where you honestly just want to take a shower, crawl in bed and watch an American movie on Netflix. We are starting to feel rested, the stresses of getting ready to leave are behind us and for the first time in a year I have found time to read. I’m enjoying little tidbits from various books, and it feels good. This past Sunday we were able to make it into The Vineyard church. It felt good to be amongst fellow believers. As I stood and sang I realized… This is what it’s like to be the “new person”. The best medicine for that is to start getting involved, and I think our brains are ready To do that with the brakes on a bit. I think there’s not going to be a shortage of ways we can help in our community, and in time I’ll take the time to share that journey as its revealed to us. For now we are pressing on with what’s in front of us. That faith. So for now, we’ve got food in our fridge, a bed to sleep in at night, a church to go to, nice neighbors, and one big flash light to guide our steps. All in time. Till the next update, thank you for your support, prayers, we definitely feel each and every one. Darryl, Jodi, Ben and Emily. Good job, family. Glad you took a few days to settle, process and get adjusted. Do not feel guilty about doing that. What a blessing to have a neighbor who is bilingual. Sounds like you’re doing a good job of everything, including letting Emily get adjusted slowly. Yes, children will attract children, and be an inroad to the parents. Remember to take breaks. Sometimes one can get so overwhelmed by the needs that you forget to take the breaks that you need to take care of yourselves and your children–balance! Which I’m sure you know, are doing, and will continue to do. Miss you guys.